The stars of the new movie "All About Women" traveled to Hong Kong on Monday for the film's premiere. Attending were Zhou Xun, Kitty Zhang Yuqi and Kwai Lun-mai. "All About Women" is directed by acclaimed Hong Kong filmmaker Tsui Hark. It's a story about the modern woman's fantasies of romance and 21st Century living in Beijing. Director Tsui Hark is no stranger to working with a cast dominated by women. His 1986 hit "Peking Opera Blues" starred top actresses Bridget Lin, Cherie Chung and Sally Yeh. There's no comparison between the story lines of the two films. But in each Tsui successfully brought top actresses together from the mainland and Taiwan. 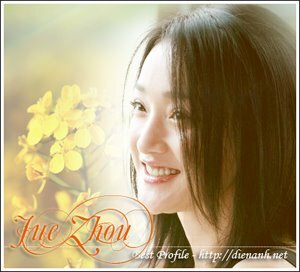 Award winning actress Zhou Xun plays a doctor who is obsessed by men. She sets out to seduce men with the help of a pheromone patch she devised herself. Taiwan actress Kwai Lun-mei plays a lead singer in a band and a boxer. Despite her dual career she spends time absorbed in fantasies about finding love. Kitty Zhang Yuqi plays a seductive white collar worker who is ambitious in her career and in her will to attract men.